Violin plots are similar to histograms and box plots in that they show an abstract representation of the probability distribution of the sample. 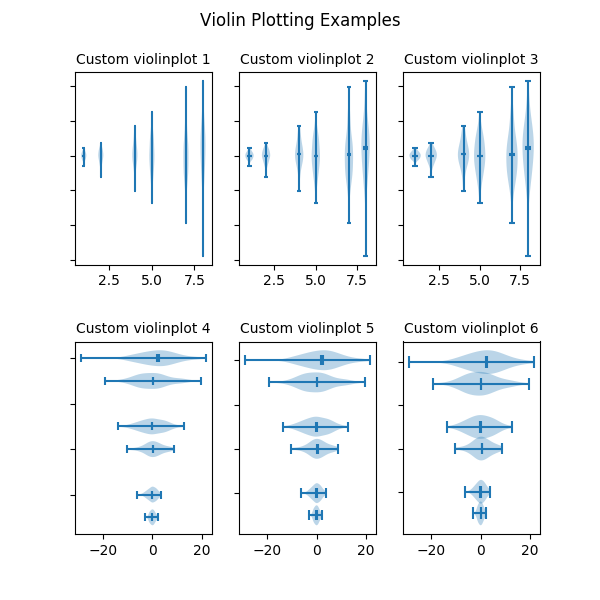 Rather than showing counts of data points that fall into bins or order statistics, violin plots use kernel density estimation (KDE) to compute an empirical distribution of the sample. That computation is controlled by several parameters. This example demonstrates how to modify the number of points at which the KDE is evaluated (points) and how to modify the band-width of the KDE (bw_method).